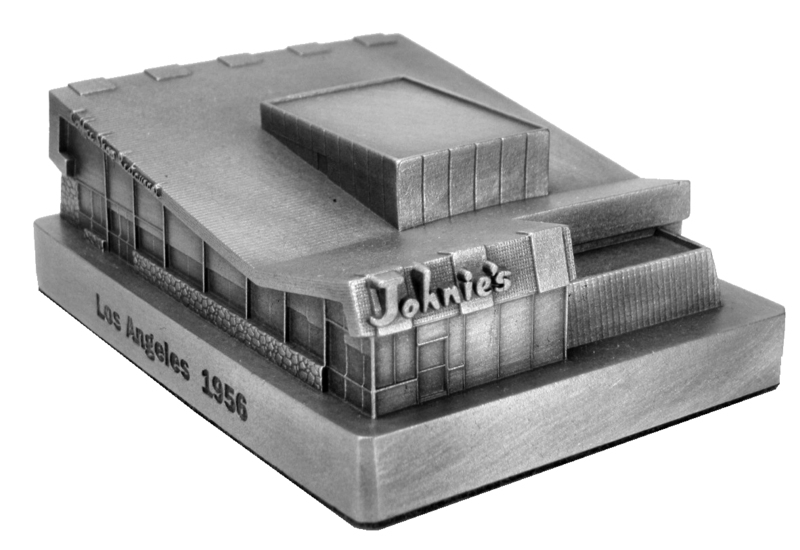 Johnie's Coffee Shop is located at 6101 Wilshire Boulevard in Los Angeles California. Built in 1956 and designed by Architects Louis Arm�t and Eldon Davis. Our antique pewter replica measures 3.5" x 2.5" x 1.25" tall.